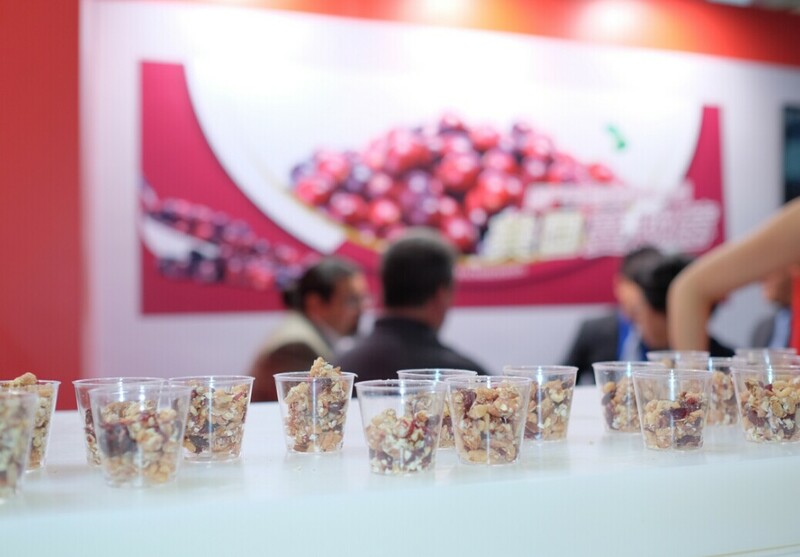 From 13-15 May 2014, U.S. Cranberries made a splash as a first year exhibitor at the 2014 SIAL trade show in Shanghai, China. The U.S. Cranberry Marketing Committee’s (CMC) corner booth drew attendees visiting the USA pavilion toward its colorful displays, samples of cranberry products, and the opportunity to have their picture taken with a life-size cut-out of “Ms. Cranberry.” Compared with the 2013 FHC show, more SIAL visitors were aware of cranberries, however most were still unfamiliar with the various product forms and possible applications. The cooking demonstrations and free samples attracted significant attention from visitors and made extremely positive impressions on those that were fortunate enough to taste them. Recipe books featuring the original recipes by Chef Rosenblum were also provided to visitors. On the second day of the show, the U.S. Cranberries booth was visited by Tudou.com, China’s earliest and most influential video sharing website. Interviews were conducted on video with Scott Soares, Executive Director of CMC, Chef Rosenblum, and Keith Schneller, Director of ATO Shanghai. 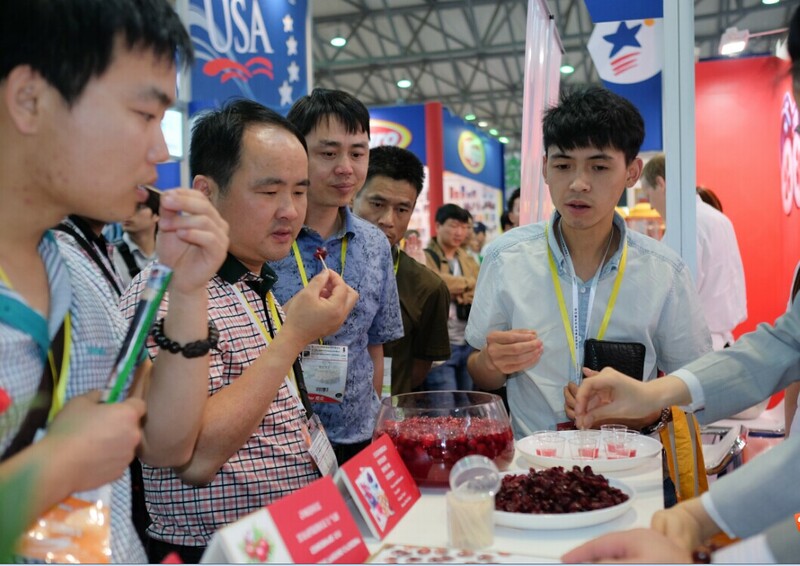 During the show, Mr. Soares, Brooks Erickson, CMC Consultant, and Mabel Zhuang, CMC China Representative, held a meetings with key government officials, and major importers and exporters of U.S. cranberries. The 2014 edition of SIAL China represented the show’s 15th year and achieved a record 45,000 professional visitors and 2,400 exhibitors from 90 countries and regions. Approximately 3,000 copies of various U.S. cranberry brochures were distributed at the show, and 15 trade leads were generated. Prior to the SIAL show, CMC also visited the headquarters of e-commerce giant, T-mall, in Hangzhou; participated in a cross-promotion with a high-end kitchen equipment supplier; and met with one of the leading fresh fruit e-commerce websites. On the last day of show, a cranberry cocktail master class was jointly conducted by CMC and one of China's leading beverage industry publications to educate Chinese bartenders on cranberry applications in mixology.